The Utica Police Department is searching for leads after a dog was found dead near a picnic table at Grant Park. 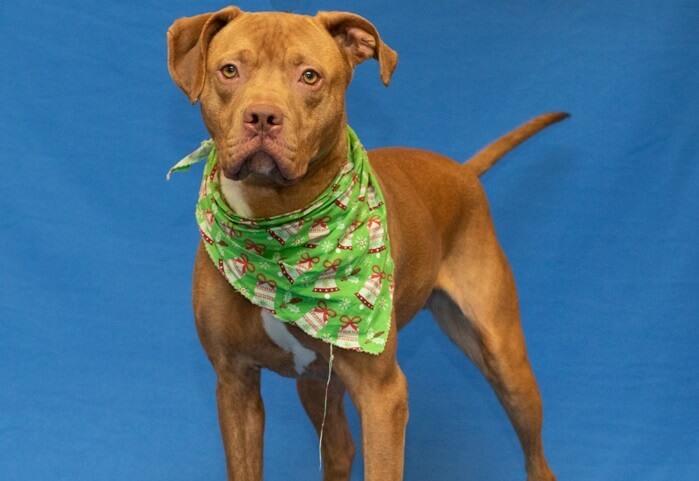 Sterling was a pit bull mix who was adopted out of the Michigan Humane Society on December 29. The owner is not a suspect and Utica Police Detective Sgt. Greg Morabito said in a news conference that the dog was stolen from his home on January 23. Utica public works employees contacted police after they found Sterling’s body at the park stabbed to death. A total of $6,000 in reward money is being offered for any information leading to the person(s) responsible for Sterling’s death – $2,500 from MHS, $1,000 from Crime Stoppers of Michigan and $2,500 from an anonymous donor. Anyone with any information that could help Utica PD make an arrest is encouraged to call 1-800-SPEAKUP. Tips can also be given to the Utica PD at (586) 731-2345 or the MHS at (313) 872-3401.